Posted on August 18, 2015 by revivewa	in News and tagged 2. The 14th Triennial Assembly broke for the evening on Friday 17 July to bear witness as two Uniting Aboriginal and Islander Christian Congress (UAICC) chaplains, Samuel Dinah and Robert Jetta, were ordained by moderator of the Uniting Church in WA, Rev Steve Francis, and UAICC WA Regional Committee chairperson, Rev Sealin Garlett. 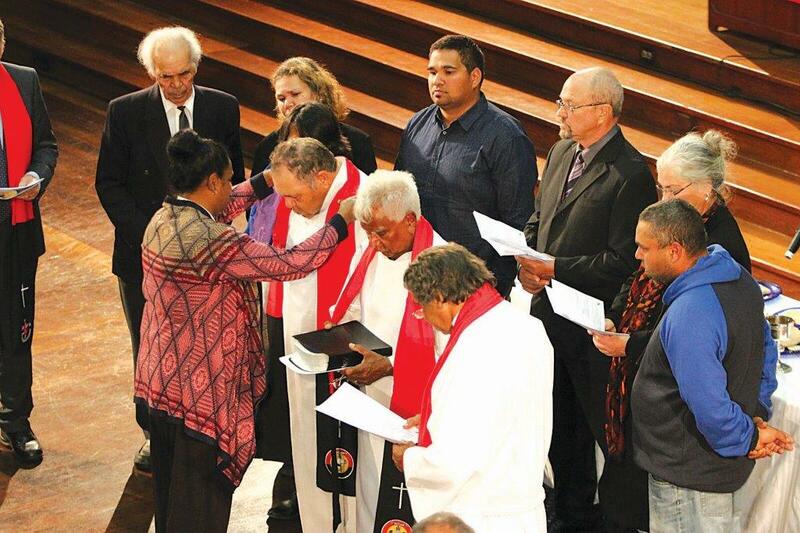 Rev Robert Jetta and Rev Samual Dinah were prison chaplains and Robert had also been ministering at Waroona Uniting Church, prior to their ordinations. They will both continue in these roles. Waroona Uniting Church is the only joint First and Second Peoples congregation of the Uniting Church. Sam spent 25 years as a prison liaison officer with the Aboriginal Legal Service prior to beginning his chaplaincy work. During the service, UAICC national chairperson and regular prison visitor, Rev Dennis Corowa jokingly suggested he had spent more time in prison than many of the men he ministered to behind bars. But, he knew how appreciated by his Aboriginal brothers in Townsville those visits were. Cheryl Lawson presented Sam and Robert with their ordination stoles. “It is just pleasing for them to see us in prison… the time we spend there and the church who supports us [in the work] is much appreciated by the Aboriginal boys who are inside and over-represented in correctional services throughout the country,” said Dennis, preaching at the ordination service. Sam said he wanted to praise God for the grace and mercy that had enabled him to stand Assembly pauses for Congress ordinations before the attendees as an ordained minister. Robert asked for the continued prayers of the attendees and thanked those who had supported him on his journey to ordination. They were charged by Rev Sealin Garlett. Sealin said the ordinations were “a tremendous statement in the investment and the journey in the covenant of Indigenous and non-Indigenous people. “I think this allows us as a church to grow together and to be able to take hold of the baton of reconciliation, of unity, to allow the fire of the covenant to continue to burn. 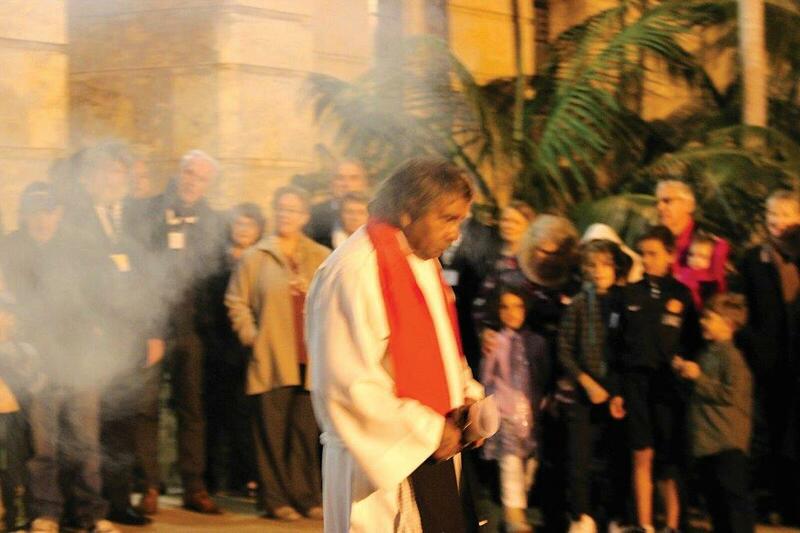 Rev Sealin Garlett before the ordination of Rev Sam Dinah and Rev Robert Jetta at the traditional smoking ceremony.